Interesting Facts: Forretress are a large round cocoon like species of Pokémon. They have two steel pinkish plates positioned on the top and bottom of their bodies. The plates cover most of the upper and lower hemispheres of the Forretress which are shaped with uneven grooves. 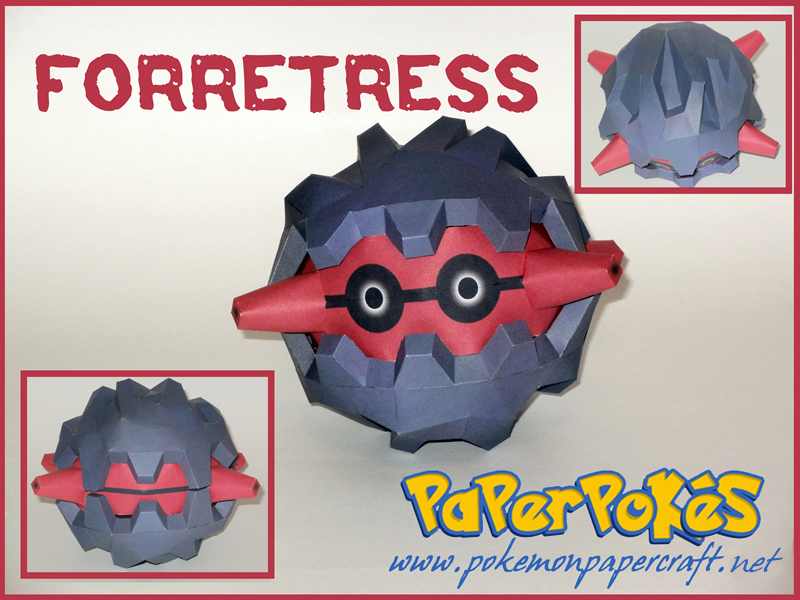 This forms the outermost shell of a Forretress. A gap along the equator of their bodies exposes a second red shell beneath the outer shell. The red shell also has a smaller gap along the equator through which the eyes can be seen. Along with this, four tube-like spikes protrude out the four corners of the Forretress’s equator. 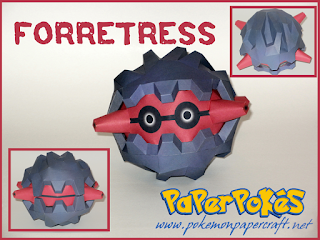 With the exception of the eyes and possibly the spikes, it is unknown what Forretress look like beneath the armor. NOTES: Build each section individually, connecting all the pieces when complete. If possible, use the pdo for the outer parts of the shell- they can be a bit tricky otherwise. Foretress is my favorite! I like when he blows up, although that would wreck my craft. This one is freaking awesome, I love u guys!